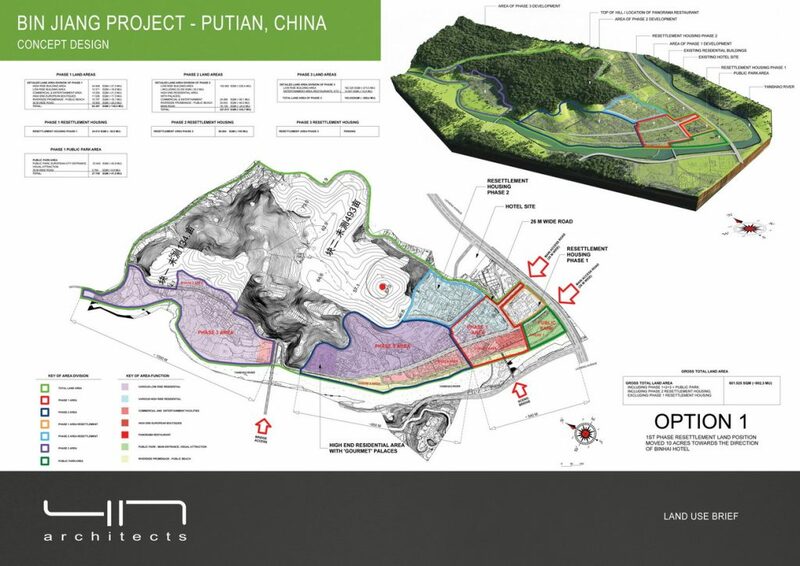 The Bin Jiang “European City” project is located in Putian city, a major city along the fujian coastline. 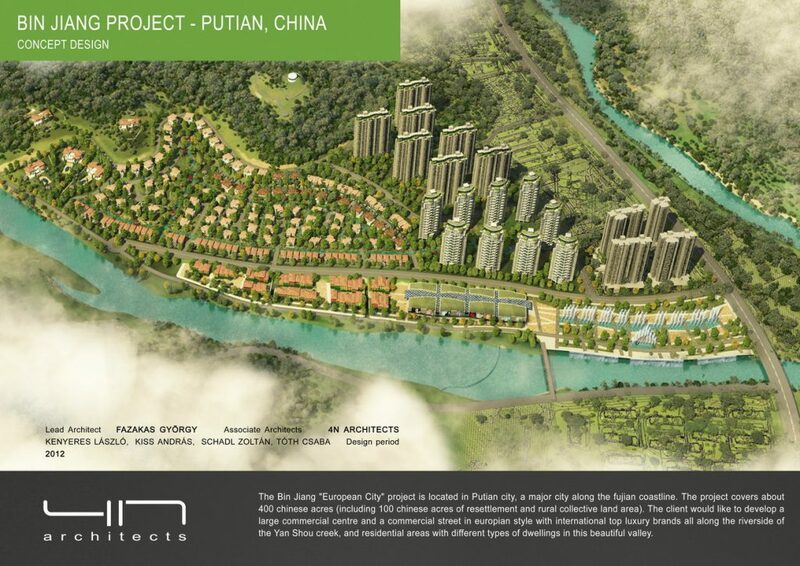 The project covers about 400 chinese acres (including 100 chinese acres of resettlement and rural collective land area). 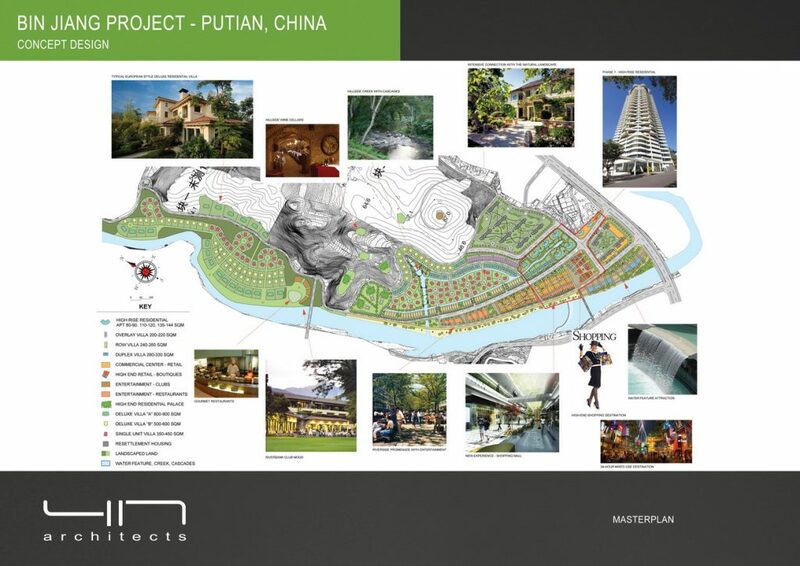 The client would like to develop a large commercial centre and a commercial street in europian style with international top luxury brands all along the riverside of the Yan Shou creek, and residential areas with different types of dwellings in this beautiful valley. The development will be separated into three phases. The large entrance park with carefully selected local botanical species, with scenic lighted cascades will creates popular public entertaintment and leisure area. 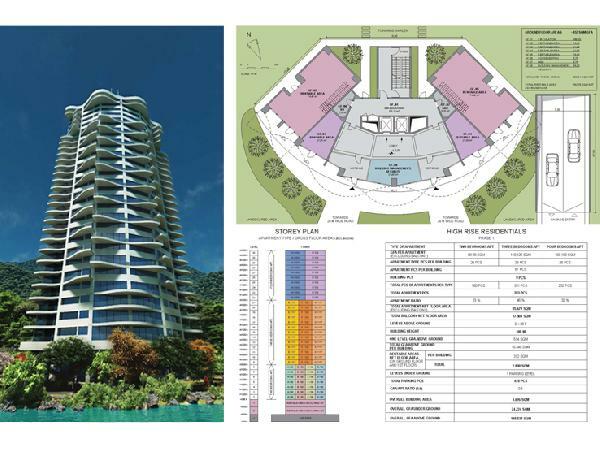 The project will also creates an upscale residential area with distinctive european characteristics. 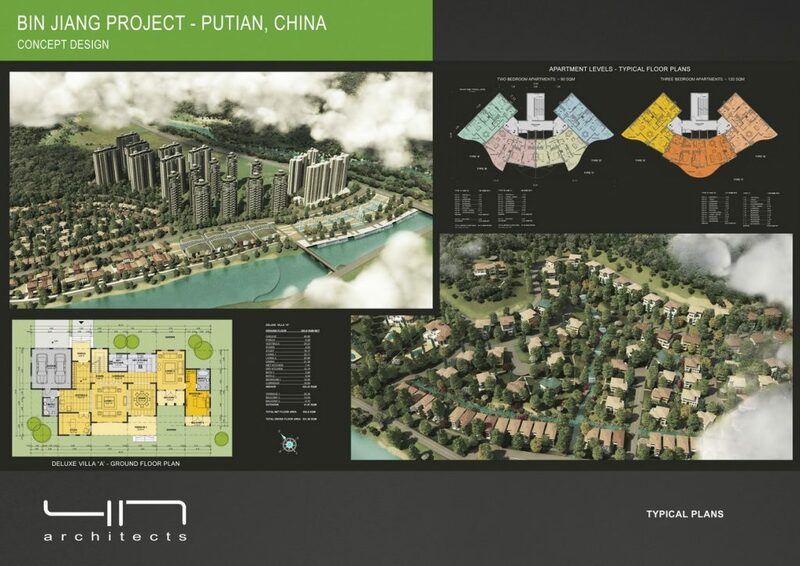 We designed quality high-rise residential aparments, multi-storey villas, and a wide variety of quality living environment for the putian social.